“At this, Homeric time, the Sea was not navigable and was called ‘Axenos’, meaning inhospitable because of its wintry storms and the ferocity of the tribes that lived around it, particularly the Scythians, in that they sacrificed strangers…but later it was called ‘Euxeinos,’ meaning friendly to strangers when the Ionians founded cities on the seaboard” Strabo, Geography. 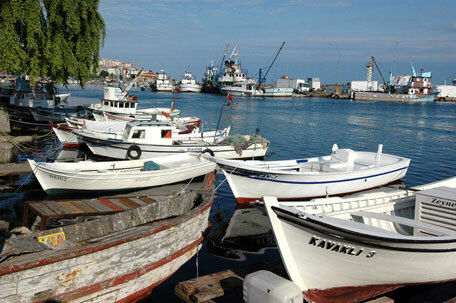 Wildly beautiful and steeped in history, art and culture, Turkey’s Black Sea Region remains “an undiscovered paradise”. With this unique itinerary Peten Travels will lead you off the beaten tourist track, taking you to natural sites that are simply breathtaking! For the whole journey you will be lead under the tutelage of expert guides who will reveal unforgettable cultural and historical remnants and artifacts. 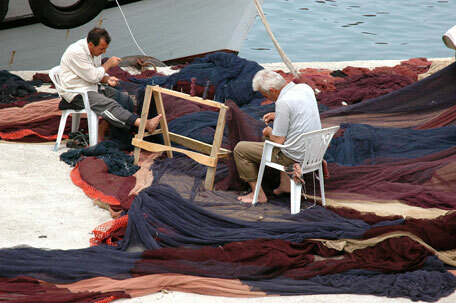 This is also a journey allowing you to witness Black Sea life and customs, much of which are very different from the traditional “Anatolian”. Participants in the small group are met by a Peten Travels staff member upon their arrival and are transferred and checked into their hotel. Guests meet one another and key staff members while enjoying a welcome drink before sitting down to dinner. After breakfast we drive along the new highway via Bolu to Safranbolu where we will stay two nights. 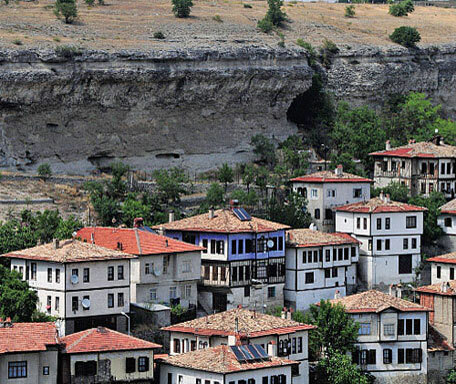 Safranbolu is one of the most attractive little towns at the entrance to the Black Sea region. UNESCO placed it on the World Cultural Heritage list in appreciation for the very successful efforts undertaken towards preserving its heritage. Its houses are perfect examples of civil Ottoman architecture, reflecting the Turkish social life of the 18th and 19th centuries. We stroll through the cobbled streets and enjoy its traditional fountains, the historical mansions (Konaklar), mosques and baths and then pause for a moment to watch the craftsmen at work in the Arasta. We visit the 18th century Kaymakamlar Konagi (Mansion of officials) and drive up to the Citadel. A short drive brings us to the Yörük (“nomad”) Village, where many prosperous Muslim businessmen and farmers once had their konaks. A typical mansion rests on a stone basement with the rooms on the upper floors reaching out over the narrow lanes of the town or into their private gardens. We then examine the architectural texture of the Sipahioglu Mansion, the socio-cultural characteristics of Yörük Village, and then visit the public laundry and coffee house. We stop at the colorful market of Bartin, and then to Amasra, a picturesque port that crowns the coast with a perfect castle sitting on top of a tiny rock peninsula, the place was a Genoese colony until 1461. We take a private boat to explore the hidden beauty of the nature before we return to Safranbolu. After breakfast we drive northeast to Kastamonu and stop at the charming village of Kasabaköy where we visit the wooden Mosque of Candaroglu Mahmut Bey dating from 1336. 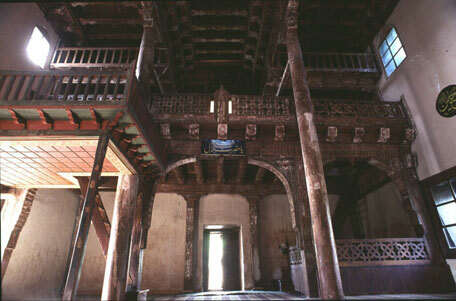 This is a masterpiece building dating from the Emirates period. The impressively ribbed roof and several of the 12-meter tall pillars of carved timber are all original and no nails were used in the construction. We continue on to Kastamonu and view the city from its 112-meter high castle. We visit the weaving school and traditional woodcarving center. Don’t forget to taste or purchase Kastamonu’s rose jam and çekme halva. Continue to Sinop was the first, and for a long time the most important, Greek colony of the Pontic basin, built at the narrowest point of a peninsula with a seaport on each side. The city was first settled as a colony of the distant Miletus on the southern Aegean, and true to the philosophical traditions of its mother-city, it produced Diogenes, the founder of the School of Cynicism. A splendid mantle of forest, mostly of fir and larch, covers the mountains south of Sinop. This forest once supplied the wood for the ships of the Ottoman navy. After we check into our hotel, we walk through the ancient Sinop, first visit the Archaeology Museum, houses an excellent collection of pottery, glass, architectural elements and some Roman mosaics and continue to Balatlar Church, built in 660 A.D, an excellent example of brick and stone masonry. From there we walk to the13th century Seljuk Alaattin Mosque. Adjoining the Alaattin Cami is the Pervane Medresesi built by the Selçuk vizier, Süleyman Pervane. 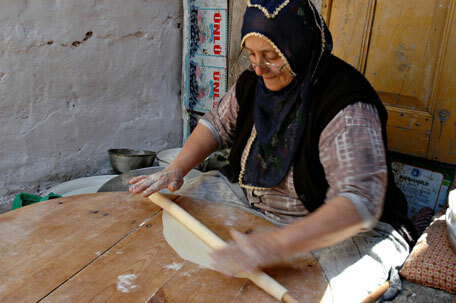 Today we explore the surroundings of Sinop and ahead off to Erfelek to see the daily life and selling power of the village women in the local market and have a shopping experience for the picnic lunch. All fresh fruits, vegetables, cheese, bread, honey, yogurt are so inexpensive, continue to the attractive cove, Hamsilos, one of the three in the whole south shore of the Black Sea and stop at Ak Limani to have our picnic lunch and drive up to the Ince Burnu for photography before we return to Sinop. 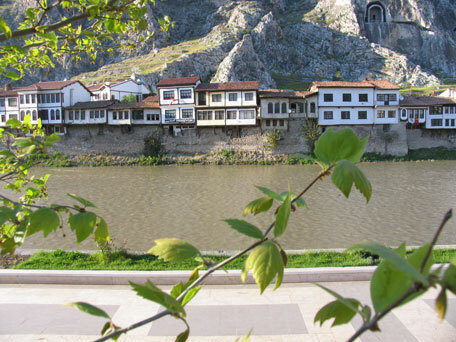 We follow the Yesilirmak, “Green River”, inland to Amasya, the loveliest town in the Anatolian interior. The river bisects the town, its banks lined with the stately houses of the 19th century with rich massive rock tombs of the kings of Pontus looming overhead. The town was an important center through Hellenistic, Byzantine and Turkish times. This city was the birthplace of a couple of Byzantine and Ottoman monarchs, as well as the geographer, Strabo. Today it houses a rich complement of monuments from the Danishmend, Seljuk, Mongol and Ottoman periods. The most pleasant way to explore this beautiful city is on foot. We first visit the Medrese of the Grandaga: the octagonal plan of this building is rare in Ottoman architecture. We finally visit the Darüssifa (The Asylum), built between the years 1308-1309 in the name of the ruler of Ilhanli, Sultan Mehmet Olcaytu and his wife Ilduz Hatun. After breakfast we continue with our exploration of this interesting city by foot. We cross the old bridges over the Green River to see the traditional Amasya houses and visit the Hazeranlar Konagi (Mansion) that lies on the shores of the Yesilirmak, located within the Roman castle walls. This mansion occupies a place of great importance and value among the examples of 19th century civil architecture. We next stop at the Sultan Beyazit II Complex (Külliye) dating from 1486. Then we pause for a photo stop at the Rock Tombs of the Kings from the Hellenistic Period. We last visit the Amasya regional museum where we have the chance to examine some of the gravestones from several periods which are exhibited in the Museum’s garden. Then we visit the Mummies (the National Geography TV Channel has made a documentary film about these Mummies) from the 14th century. In terms of their mummifying technique, they are different from other examples of mummies found elsewhere around the world. We spend a leisurely afternoon. 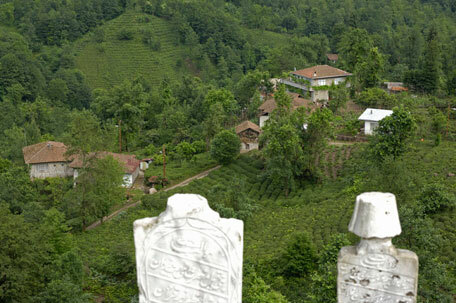 We leave Amasya to travel a scenic route through to the heart of the coastline, to Ordu. We stop at Niksar, which served as the capital of the Danishmend dynasty in the 12th century. 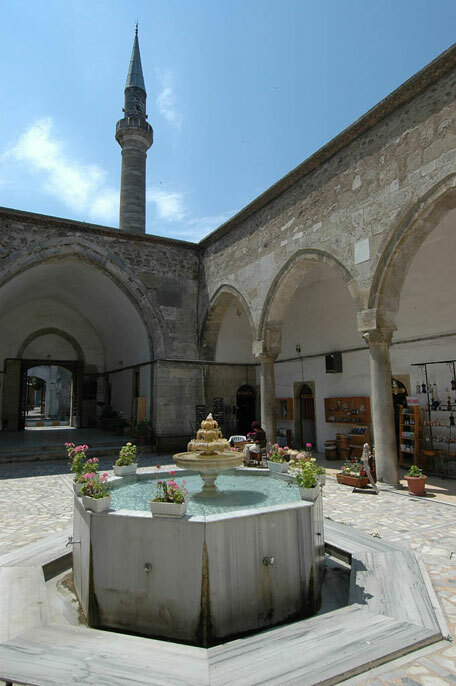 Its Ulu Cami (Grand Mosque) built in 1145, is one of the earliest Turkish mosques in the country. We take the route of Ünye and Fatsa through the Black Sea Mountain range into deep Black Sea country. The mountains get higher, the climate wetter, the music wilder, and the hamsi (anchovy) more abundant. We will stop at several points for brief walks and several photo opportunities. We visit the Jason’s Church situated at the Jason Cape Peninsula. The church was built in 1869 by the Greek inhabitants in the small village of Çaytepe in Persembe. Before dinner we take the cable car to Boztepe to view Ordu. After breakfast we are off the land of cherries and hazelnuts, Giresun. It was from here that the Roman General Lucullus tasted his first cherry (The town’s name comes from the Greek word of cherry) and took the fruit back to Rome. Giresun occupies the site of ancient Kerasous, founded by Miletus in the 7th century BC. We first drive up to the Giresun Castle is located on top hill overlooking the city on the northern peninsula in the city. It’s built upon the order of the Pontus King of Pharnakes I (2nd century B.C) and we visit the Giresun Museum. 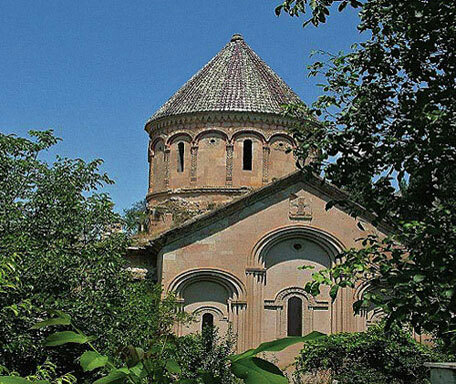 With an impressive archaeological and ethnographic collection spanning the Bronze Age to the Ottoman Empire, it occupies Gogora, a well-preserved 18th-century church (and sometime prison) with a painted dome. Check out the minaret-shaped stove and ancient cellar filled with amphorae. Stroll through the old district, Zeytinli and view the 19th century Catholic Church today is used as the children’s library. Being in the Black Sea Region and not having experienced one night in the yayla (mountain plateau or summer pasture), you would miss the soul of the region ! So off we go !.We admire the Kuzalan Blue Lake and Waterfall on the way to Yayla is derived from the verb yayilmak (to spread out or disperse), as in the action of a grazing herd of goats, sheep or cattle, but the yayla is much more than a meadow to the locals. It is home for the summer, almost always successive summers, and yaylalar (plural) belong to particular villages whose individual livestock owners. In fact, most towns and villages in the Eastern Black Sea Region have their yayla, the upper limit for this being around 3,000 meters. The transhumance begins with the hot weather that comes in early summer, and in those cool yaylas the herders will live in wood or stone cabins, to return again to their villages with the approach of autumn. We drive up almost 1710 meters to stay overnight at the Biruni Hotel in the Kümbet yayla. This morning we drive along the coast and stop at the picturesque, small town of Tirebolu and stroll through the middle town of Akçaabat famous for its grilled meatball and mansions. In the 7th century B.C, colonies from Sinop settled a short distance drive along the coastline in a place that was later to become the capital city of the Pontus Empire, Trapezus. This city experienced a time of great splendor as the seat of a breakaway Byzantine court between 1204 and 1261. Our visit lets us examine the art and culture of the Middle Byzantine Era. We first visit the imperial Church of Hagia Sophia from the period of Emperor Manuel I and we enjoy the panoramic view of the city from the Citadel while appreciating the elegant nouveau residence called the Atatürk Mansion that was built in 1903 for Constantine Kapagiannidis, a prominent Greek who was mentioned as a possible president for the would-be Pontic Republic. Before we check into our hotel we drive to the coastal town of Sürmene to visit the 18th century Memisoglu Mansion andthen continue to Lake Uzungöl with the surrounding spruce forests. It was formed by a landslide making the stream bed to become a natural dam in the valley of Haldizen Stream. Today we continue to explore the city of Trabzon. First visit the City Museum; we’ll see that Trabzon’s geographical structure, architectural and urban texture, cultural, economical structure... A short walk to the Kostaki Mansion (Archaeology Museum) from 1917, a wealthy banker built his family summer mansion in the Ottoman Black Sea style with ornate rooms, painting ceilings; carved wooden doors and original furnishings- today it displays interesting ethnographic and Ottoman artifacts. The basement has more significant pieces including a bronze statue of Hermes, icons, coins and jewellery from the Roman, Byzantine and Comnenus periods. We cross the Tabakhane Bridge to Orta Hisar (Middle Fortress), the heart of the old city. 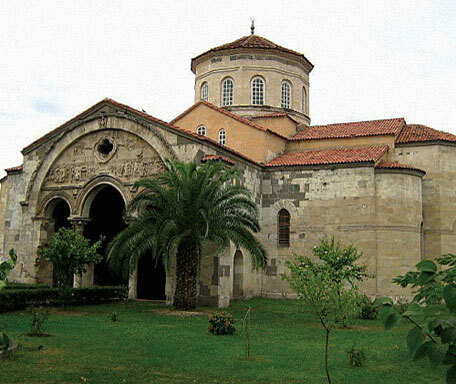 We view the Fatih mosque started out as Church of Panaghia Chrysokephalos (Gold-headed Virgin) built in the basilica style in the 10th century, and converted into a cross shape in the 12th century. It’s under restoration. There is a lovely park surrounded by impressive buildings reflect the prosperity of the city in the old days. The Zagnos Bridge after the name of the Pasha (governor) above the parklands of the Zagnos Valley dated back to the 15th century. Continue to Gül Bahar Hatun Mosque built in 1514 for the mother of Sultan Yavuz Sultan Selim. If we get permission we visit the St.Mary Church, which is the only church in Trabzon that has regular masses. The most famous of the monasteries both in the days of the Grand Comneni is Sümela, we drive via Maçka (Matzouka) and take up the valley of the Panayia Suyu, the Stream of the Virgin. Perched improbably on a cliff that rises 500 meters from a forest valley, the deserted monastery forms a breathtaking sight. The core of the compound is a cave church built beside a holy spring in a natural hollow. The frescoes, which cover the cave church inside and out, as well as some of the natural rock and the walls of a smaller chapel, come in four layers dating from the 14th century. The environment is as enchanting as the monastery itself. The Sumela Monastery has been put under restoration and it is closed to the visitors,however you will get as close as possible to take the photo. Return to Macka and continue to the Zigana Pass at an altitude of 2,010 meters, the famous Pontic Gates. We stop at the Hamsi Köy for the rice pudding, which is famous for it. Continue to Bayburt, the capital of a little- visited province in the northeast of Turkey to reach the mountain-top Baksi Museum. It is the brainchild and second home of Hüsamettin Koçan, an Istanbul-based artist who was born in the village a stone’s throw away when it,too, was called Baksi, literally “Shaman”, before renamed Bayraktar. It deserves a place among the world’s top ten remote museums. This immense gallery, dedicated to contemporary and ethnographic art, is a heady fusion of the urbane and the bucolic. Georgians have inhabited the southern Caucasian, the Kura and Çoruh valleys for as long as anyone can recall. Their non Indo-European language suggests that they may even have been here before the Hittites and the Urartu. During the centuries of Greek and Roman expansion a Georgian kingdom held sway in Caucasia, while the ancestors of today’s Laz, a close relative of the Georgians, ruled in the lesser kingdom of Colchis by the Black Sea. The king of Georgia adopted Christianity shortly after his Armenian counterpart did, but unlike Armenians, Georgians never broke with the Eastern Orthodox Church, and managed to maintain their independence, in the face of Roman, Byzantine, Persian, Arab and Turkish incursions. 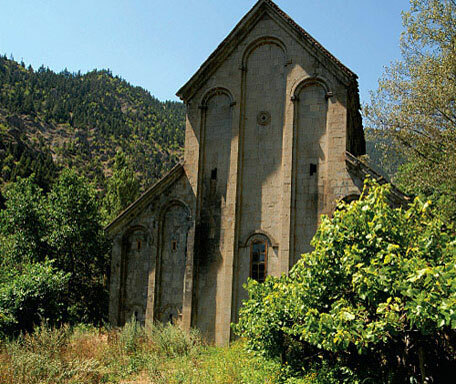 More than a dozen major churches of the medieval Georgian kingdom hide in the remote valleys and villages of the mountainous Artvin province. We stop at a tea factory in Rize followed by a very scenic drive through the lush tea plantations and into the wilderness of the Coruh Valley, we follow the coastal towards the Georgian border and after a while we leave the Black Sea behind us to Borçka to visit 19th century Ottoman Mosque in the Maradit (Muratli )Village. It is completely made of wooden material and in a small scale. It is one of the few examples in which baroque and rococo styles were applied in small village mosques in Anatolia. This mosque is one of the best examples of the Turkish Art History because of its ornaments and wood carvings. The dramatic landscape change takes us to visit the Dörtkilise “Four Churches”, or “Otkhta Eklesia” in Georgian, that is a bare and magnificent church of cathedral-like size that stands all alone in a beautiful meadow encircled by walnut and cherry groves. At the close of the tour we settle into our very basic accommodation. After breakfast, our comfortable minivan takes us along a bumpy road straight out of Camel Trophy. Climbing along the ever-wilder cascades of the Barhal stream, we reach the charming, well-watered village of Barhal at an altitude of 1000 m. The 10th century Church of Barhal (Parkhali in Georgian) presents a strikingly modern appearance with its starkly angular mass and sloping “Nordic” roof. It is put to good use as a mosque for it thus remains in a near-perfect state of preservation. Our group enjoys a homemade lunch on the terrace of a family run pension in the village of Barhal. We return to Yusufeli and explore the town, before driving on to one of Artvin’s most fascinating Georgian churches, the Ishan Church. In location and effect, as well as sheer size, maket this church truly memorable. A drive from the naked desert of the Oltu gorge brings us, very surprisingly, to a storybook village full of ancient timber houses set in a lush oasis of apples, walnuts and mulberries. The church rests quietly in the backyard of the village school. The inscription names 1032 as the date of construction, although the horseshoe shaped colonnade of the choir may date from 828 or even earlier. After breakfast we continue the journey along the Tortum Lake to the Ösvank and Haho churches dating from 973. They are considered the final architectural culmination of the Çoruh “renaissance”. Then we continue to Erzurum -the ancient Theodosiopolis. In the afternoon we first visit the Citadel for Erzurum’s best views, erected by the emperor Theodosius around the 5th century. We end the day at the Rüstem Pasha Caravanserai (Tashan). Rustem Pasha is the grand vizier /Sadrazam of the Ottoman Sultan, Kanuni Sultan Suleyman/The Magnificient Suleyman. He built this Caravaserai due to the needs of merchants and visitors. It is a well-restored inn and recently used as jewelery market. Erzurum has many spectacular features such as its organic gem called "Oltu Stone". According to the geological literature, it is called jet stone. Erzurum people especially like to use prayer beads made of jet stone. You can find varieties of jewellery and pieces produced by the jet stone/Oltu Stone and silver. The prices are very inexpensive. We spend a leisurely morning and visit the architectural masterpiece of the Çifte Minareli Medrese which was built under the Seljuk ruler, Alaeddin Keykubat II. A short walk to the Ulu Cami (Great Mosque) built in 1179 by Melik Mehmet, grandson of Ali Ibn Saltuk, the founder of the Saltuk rulers of Erzurum. 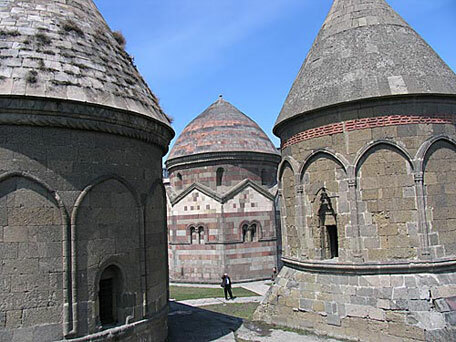 Walk south to the Three Tombs (Üç Kümbetler) from 13th century mausoleums with the near-conical roofs and the elaborately decorated side panels. The Mongols, in their turn, to the Çifte Minareli Medrese built the Yakutiye Medrese in 1310, named after the local governor of Ogeday, a grandson of Gengiz Khan who held court in Tabriz... 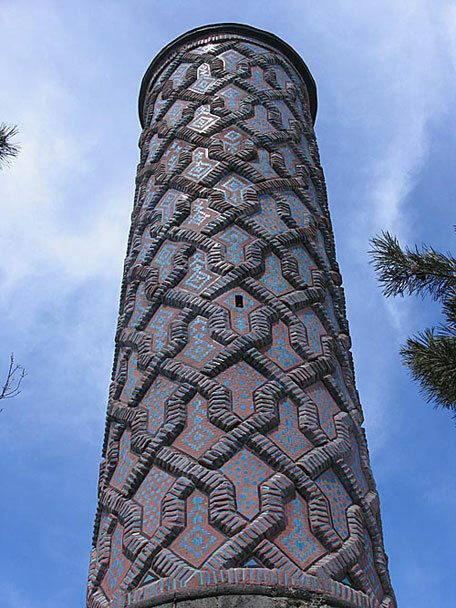 The Mongols borrowed the basics of Seljuk architecture and developed their own variations, as seen in the entrance, with its geometric, plant and animal motifs. 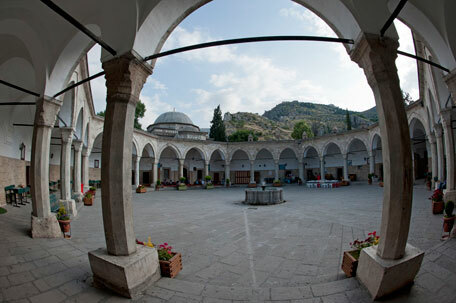 Yakutiye Medrese is now the Turkish-Islamic Arts & Ethnography Museum. Before we take the direct flight to Istanbul, we enjoy the traditional Erzurum cuisine. Domestic flight: TK2707 Erzurum-Istanbul Atatürk Departure time: 18:50 Arrival time: 2100. After breakfast we transfer you to International Atatürk Airport and accompany you till the last security point. The itinerary involves a good deal of walking. Good comfortable footwear is therefore essential. It should be pointed out that the tour might not be suitable for passengers who require assistance or who have difficulties with mobility. Please make sure you enjoy walking, hiking, rough driving to remote Georgian churches, good local food and cultural interaction. Best available hotels and meals as noted in the itinerary (B=Breakfast D=Dinner). Special category boutique hotels are the renovated mansions or Ottoman houses. All ground transportation by a/c, deluxe vehicle. Local mini bus, without a/c, to the remote churches will be used.